Taylor won a Grammy Award for Best Pop Vocal Performance - Male ("You've Got A Friend"). Taylor hit the Top 5 on the Billboard Hot 100 chart with "How Sweet It Is (To Be Loved By You)." Taylor won a Grammy Award for Best Pop Vocal Performance - Male ("Handy Man"). Taylor was nominated for a Grammy Award for Best Pop Vocal Performance - Male ("Up On The Roof"). Taylor hit the Top 40 with J.D. Souther on "Her Town Too." Taylor hit the Top 10 with J.D. Souther on "Her Town Too." Taylor won a Grammy Award for Best Pop Album (Hour Glass). Ranked # 65 on VH1: Greatest Artists of Rock & Roll (and # 59 on Rock On The Net's Poll). Taylor could be heard on the compilation, Elton John And Tim Rice's Aida, with "How I Know You." Taylor could be heard on Sting's LP Brand New Day. VH1: 100 Greatest Rock Songs included Taylor's "Fire And Rain" at # 80. Taylor was inducted into the Rock & Roll Hall of Fame. Taylor could be heard on Mark Knopfler's LP Sailing To Philadelphia. VH1: 100 Greatest Albums includes Sweet Baby James (1970) at # 77. Taylor won a Grammy Award for Best Pop Vocal Performance - Male ("Don't Let Me Be Lonely Tonight" from Michael Brecker's The Nearness Of You). Taylor was nominated for a Grammy Award for Best Pop Vocal Performance - Male ("October Road"). Rolling Stone: The 500 Greatest Albums of All Time included Sweet Baby James (1970) at # 103. 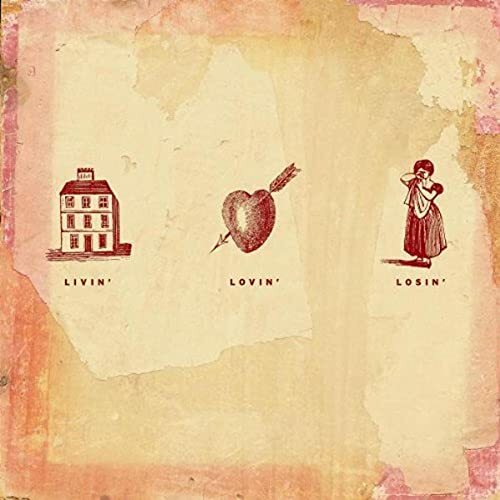 Taylor won a Grammy Award for Best Country Collaboration with Vocals ("How's The World Treating You" with Alison Krauss from the Livin', Lovin', Losin': Songs Of The Louvin Brothers compilation). Rolling Stone: The Immortals - The 100 Greatest Artists of All Time included Taylor at # 84. Taylor could be heard on Ray Charles' LP Genius Loves Company. The Best Of James Taylor was certified platinum. Taylor could be heard on the Hurricane Ground Hurricane Benefit Relief Concert compilation with "Never Die Young." Taylor could be heard on Tony Bennett's LP Duets: American Classic on the track "Put On A Happy Face." Taylor released the holiday LP James Taylor At Christmas. James Taylor At Christmas was certified gold. Taylor could be heard on the tribute LP A Tribute To Joni Mitchell with the track "River." Taylor released the CD/DVD One Man Band (Billboard peak: # 17 - Rolling Stone: ). Taylor was nominated for a Grammy Award for Best Traditional Pop Vocal Album (James Taylor At Christmas). One Man Band was certified gold. Taylor released Covers (Billboard peak: # 4 - Rolling Stone: ). Rolling Stone: 'The Greatest Singers' includes Taylor at # 74. Taylor was nominated for 2 Grammy Awards including Best Pop Vocal Performance - Male ("Witchita Lineman") and Best Pop Vocal Album (Covers). Taylor released Other Covers (Billboard peak: # 122). Taylor and Carole King released the CD/DVD Live At The Troubadour. 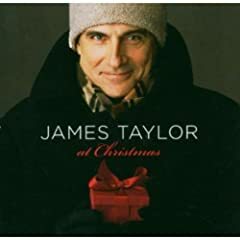 James released the holiday LP James Taylor At Christmas. The Essential James Taylor was released. September 2: Taylor released Letter. Tracks: "Everyday" - "The Letter" - "You're The One I Love" - "Rainy Day Man" - "Knocking 'Round The Zoo" - "Something's Wrong" - "Night Owl" - "Brighten Your Night With My Day" - "Kootch's Song"
June 16: Taylor released Before This World. Tracks: "Today Today Today" - "You And I Again" - "Angels Of Freeway" - "Stretch Of The Highway" - "Montana" - "Watchin' Over Me" - "SnowTime" - "Before This World / Jolly Springtime" - "Far Afghanistan" - "Wild Mountain Thyme"
July 4: Taylor topped the Billboard 200 LP chart and Digital Albums chart with Before This World. February 15: Taylor was nominated for a Grammy Award for Best Pop Vocal Album (Before This World). July 1: Taylor could be heard on the live compilation Crossroads Revisted - Selections From The Crossroads Festivals. May 11: Taylor could be heard on the Charlie Puth LP Voicenotes with the track "Change."